Brides are definitely becoming more and more adventurous with the shoes that they wear on their wedding day. We are no longer restricted to ivory or white satin with a sensible heel. Bright colours, glitter, pearls, jewels, the higher the better! As we approach the Christmas wedding season, here's my pick of 5 of the most gorgeous shoes available right now, perfect for flashing under your incredible wedding gown. 1. The Haute Couture Bridal Shoe [caption id="attachment_951" align="aligncenter" width="640"] Nicholas Kirkwood, €650 at net-a-porter.com[/caption] 2. Velvet Luxe [caption id="attachment_952" align="aligncenter" width="290"] Velvet look, €85.72 at asos.com [/caption] 3. 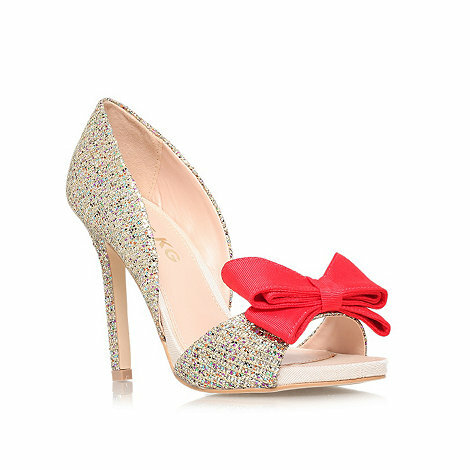 Whimsy & Sparkle [caption id="attachment_954" align="aligncenter" width="470"] Miss KG, €88.00 at Debenhams[/caption] 4. 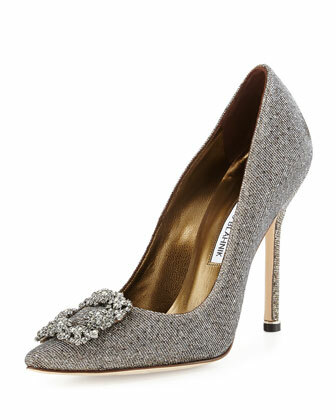 Crystal Couture [caption id="attachment_955" align="aligncenter" width="336"] Manolo Blahnik, approx €790 at Bergdorf Goodman[/caption] Psssst! Want these, but can't afford the high-heeled price tag? Check out this pair by New Look, over 95% cheaper! 5. Satin Dream [caption id="attachment_957" align="aligncenter" width="290"] ASOS, €64.29 at asos.com[/caption] For more gorgeous wedding style inspiration, be sure to check out our Pinterest board! I am loving the feel of number 3! Those velvet heels are so Christmasy, I love them. Though I think my favourites here are No. 5. Thanks for sharing! Love the last ones! So cute and classic.